The Furniture Industry Research Association revealed that bed mattresses deteriorate in a period of 10 years. 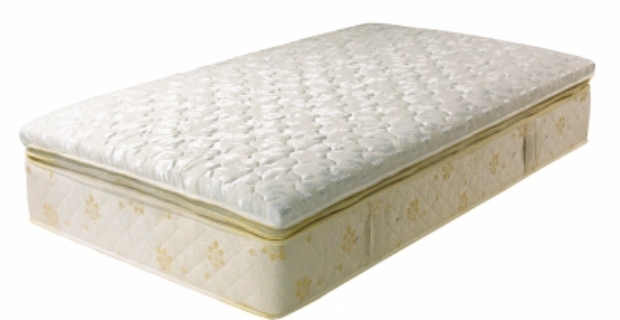 Depending on the amount of use and original quality, it is recommended to change the mattress after 7 years. In addition to hygiene and sanitation reasons, changing your mattresses within a decent timeframe will prevent troubles from brewing such as persistent backaches due to the discomfort of a lumpy king size mattress. Having the right mattress can make a world of difference in getting a decent quality and amount of sleep. Whether you are plagued with back problems or simply want to be extremely comfortable when sleeping, investing in a good mattress is essential. Hypnia offers king size mattresses. For instance, the Hypnia 10 inch memory foam mattress received raving reviews. Priced at £202.95 off Amazon (currently on sale), it has a total depth of 10 inches and a memory foam depth of 3 inches. It is hypoallergenic and dust mite resistant. Hypnia carries a 10-year guarantee and 60-night trial. Ergo Flex also manufactures memory foam mattresses. Customers are satisfied with the comfort level of these mattresses. Although users felt warm when they first slept on the mattress, the body adapted after a certain time. It supports the body well ensuring in a good night’s sleep. The king size mattress has a 21-cm depth and 9-cm memory foam depth. It is available at Ergoflex.co.uk for £539 and comes with a 10-year guarantee. The company has over 60 years experience in manufacturing comfortable and sturdy beds. When it comes to king size mattresses, you’ll find a wide range on offer such as the Classics, Diamond and Select Collection. The exclusive 'Miracoil' or 'Mirapocket' technologies are used for dustmite protection as well as a memory foam for extra comfort. You can choose a rolled or non rolled mattress. The Silentnight Tennessee Miracoil 7 Memory King Size Mattress is now on sale at Argos for £579.99. From the most expensive to the cheapest king size mattress, it is important to take the time to study the market and compare differences. Test the mattresses to see if they offer the right support for your body. Lie down properly on the mattress to feel how it moulds and supports your body. Check its dimensions and if possible you and your partner should lie down together on it to see if there is ample room on the bed.